Painkiller Marijuana was created exclusively for medical use being a plant of strong sedative and tranquilizing effect. Great production. We are talking about a hybrid created exclusively for medical use. We usually seek in the Sativas their active effects, however, Painkiller was created differently. 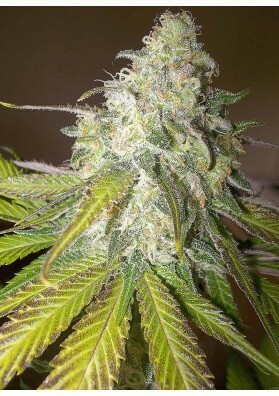 It was created due to the demands of several medicinal growers was one of the first to have been tested in several diseases like cancer, glaucoma and chronic muscle pain. The results have been very encouraging: not only it produced a significant reduction of the side effects of radiotherapy and chemotherapy but it has also provided a substantial increase in appetite thus reducing nausea and malaise. It also provides you with celan and fresh rest when you sleep. The next day you will wake up in perfect conditions. Again, Painkiller Cannabis is a plant of strong sedative and tranquilizing effect. It is also highly recommended for muscle aches and for a complete rest. Be careful with some phenotypes, due to their high levels of CBD they can be brain killers. 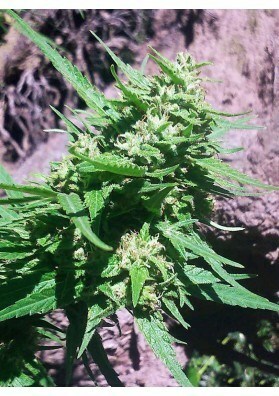 To create this natural medicine, we used a Sensi Star (Paradise Seeds) selected years ago by his great qualities regarding the menstrual pains and we hybridized it with a White Russian (Serious Serious Seeds) yielding an extra production and a devastating effect thus inducing a state of hunger and sleep. The result was considered to be sublime. PainKiller is a plant of medium size, wide, dark leaves, columnar structure with an excellent production. In hydroponics or aeroponics the results are devastating, getting plants that are all filled with buds from the lower parts. Resin production is unsual and the aroma is a mixture of soil, lime and beer yeast. The buds dry are earthy like afghan plants retaining its flavor intact. A delight for the palate. Search for to this phenotype also known as Lemon Juice!